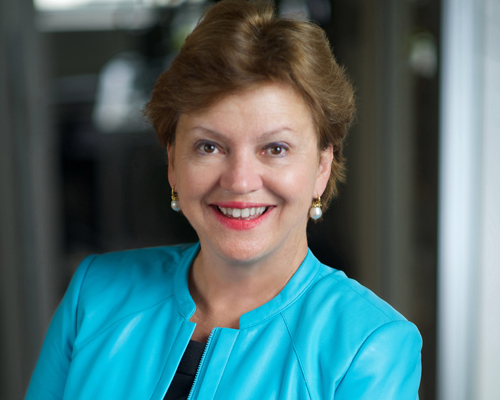 Elaine Hughes, is the most trusted and successful professional in the consumer products executive search industry. For 25 years, the largest retailers and consumer products companies have turned to her in management crises and for her expertise in long-term management team building strategy. Elaine’s credentials include years of real experience both on the inside and on the consulting/executive search side of the industry. This combination of experience has honed Elaine’s well-known ability to grasp the real needs of a business and match the executive candidate who has both the style and experience needed to create a winning fit. After graduating from Hunter College, she received her MBA degree from Sacred Heart University. Elaine joined Springs Industries as the first female account executive in the Company’s apparel fabrics division. Elaine went on the marketing positions in the textile industry with Malden Mills and Blue Ridge Winkler textiles. In 1991, after a term as partner in the executive search firm of Bader Hartley, Elaine founded E.A. Hughes & Company. Elaine was named Entrepreneurial Woman of the Year in 1996 by the Fairfield County Girl Scout Council. She is on the Board of the Charles F. Dolan School of Business of Fairfield University. She is a three-term board member of Women in Management, where, she initiated two programs: The WIM Scholarship Fund, which offers financial assistance to women who are attending college, working and raising families, and the WIM Mentorship Program, which assists high school teenagers with positive role models from business. She a trustee of Bishop Kearney High School and on the advisory board of FIT’s Global Fashion Management program in the School of Graduate Studies. Elaine is a founding member of the New York Textile Group, formerly known as the New York Textile Board of Trade. She is a long-term member of Fashion Group where she initiated the membership incentive program and is a member of the American Apparel & Footwear Association. She is also on the board of JDRF (Juvenile Diabetes Research Foundation) and is a former Board Member of the Baseball Express Catalog Company (now known as Team Express Distributing, LLC) in San Antonio, Texas. Elaine is regularly quoted in a number of publications including Women’s Wear Daily, The Wall Street Journal, The New York Times and Crain’s New York Business. She has sponsored both the WWD CEO Conference since 2003 as well as the Footwear Summit in 2012. She has been a featured speaker at numerous industry related events over the past 25 years.